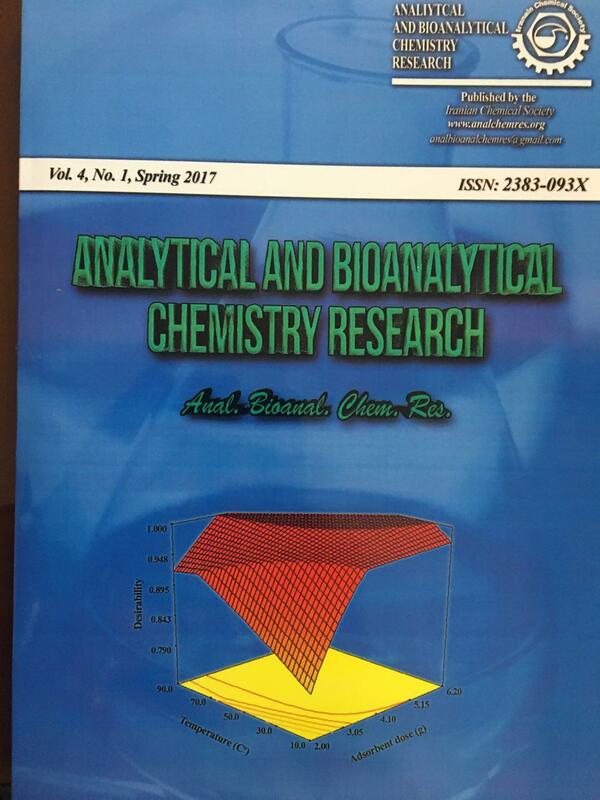 Analytical and Bioanalytical Chemistry Research provides a forum for the publication of papers in all branches of pure and applied Analytical Chemistry. High quality original papers in English dealing with experimental, theoretical and applied research related to Analytical Chemistry are welcomed. This journal accepts your report for publication as a regular article and review. Letters to the Editors will be considered for publication. Analytical and Bioanalytical Chemistry Research ensures visibility of your research results to a worldwide audience in science. The main criteria for acceptance of the articles are fundamental nature of the study, scientific novelty and clarity. All articles published in the journal are peer-reviewed by eminent international experts in their respective fields. Submissions of manuscript from all countries are welcome and will be reviewed by at least three expert referees. Accepted manuscripts are electronically published through the site free of charge. In order to promote research worldwide and improve the personal impact factor, the content of this journal is freely available without charge to the user or his/her institution. Users are allowed to read, download, copy, distribute, print, search, or link to the full texts of the articles, or use them for any other lawful purpose, without asking prior permission from the publisher or the author. Open access publishing allows free distribution of and access to published articles. The author retains copyright of their work with a Creative Commons attribution licence, so all articles are made freely available to the widest audience possible.